It seems the Plymouth skyline is seeing more changes this year than it has for a long time. After the sad loss of the Millbay Silo earlier this year it seems we are about to loose another skyline landmark. The massive crane above is apparently the biggest in Western Europe. Well it wont be for much longer as its going to be taken apart later this year. Dutch heavy lifting specialist Mammoet is coming in to do the job in September, and it will last well into October. It seems that the equipment is being put together in Holland and will be floated across to Plymouth - should be quite a sight! Still, its sad to see yet another Plymouth landmark bite the dust. 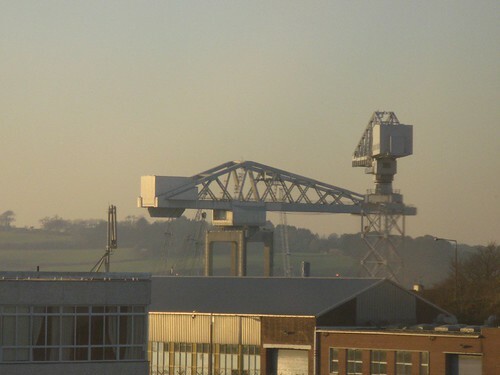 thanks for the picture of this great crane.